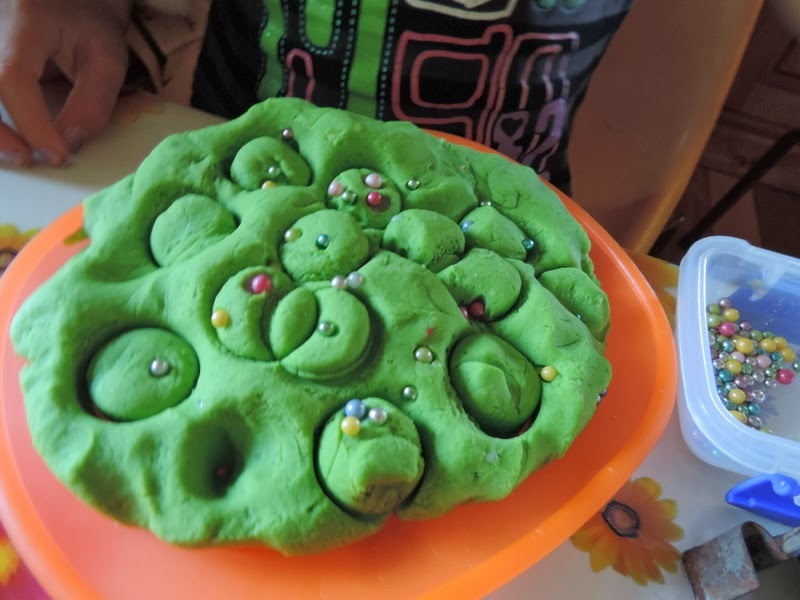 The playful preschoolers had been reminding me all day that I threw out their old playdough and promised we would make some Christmas playdough ‘soon’. Apparently ‘soon’ meant today and they weren’t going to give up! 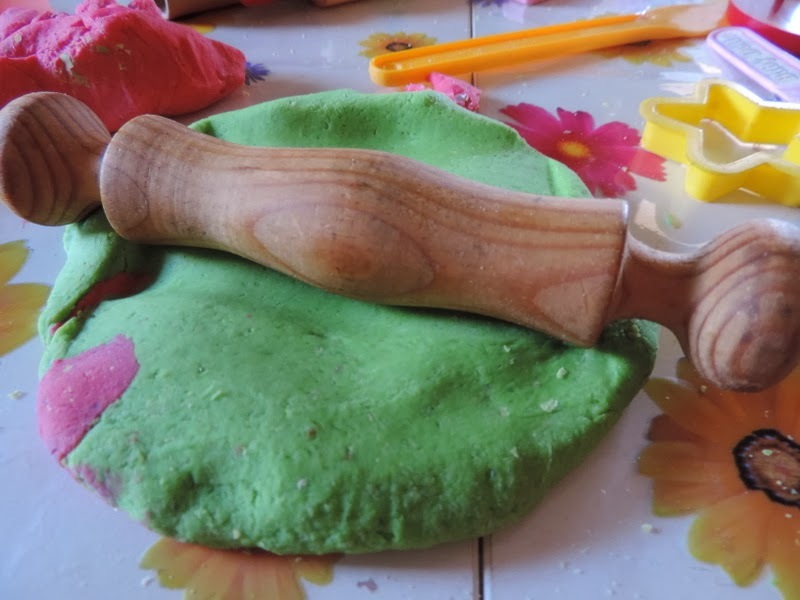 So I pulled out my favourite uncooked playdough recipe which is very similar to the one Anna shares on the Imagination Tree which is wonderfully soft. 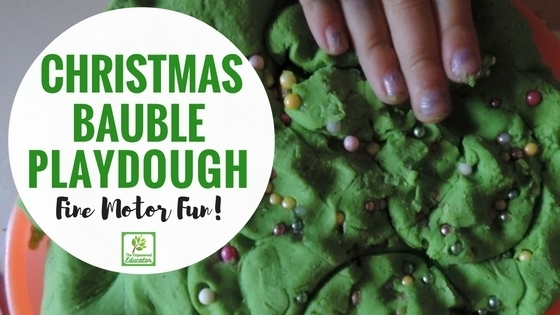 It really is so easy to make your own quickly, I also like to use my microwave playdough recipe when I want a longer lasting dough. 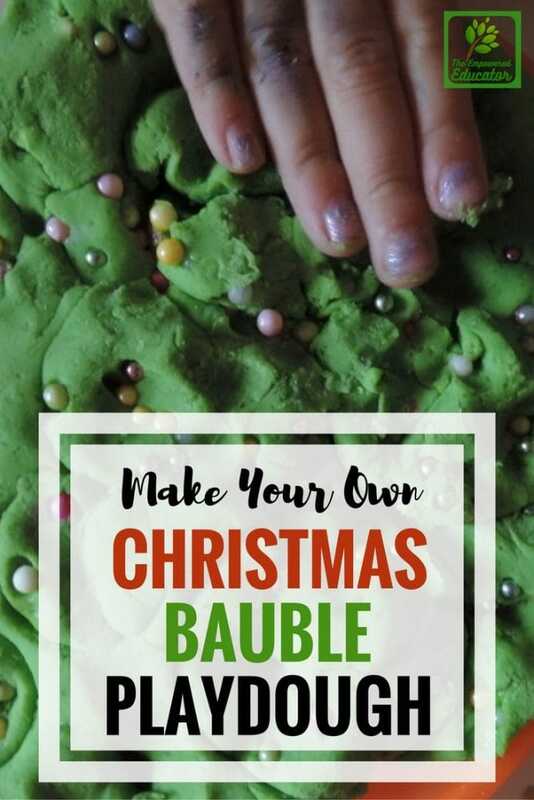 After spying some left over baking cachous at the back of the pantry earlier in the week I decided they would be perfect to create some Christmas bauble playdough…as you do. 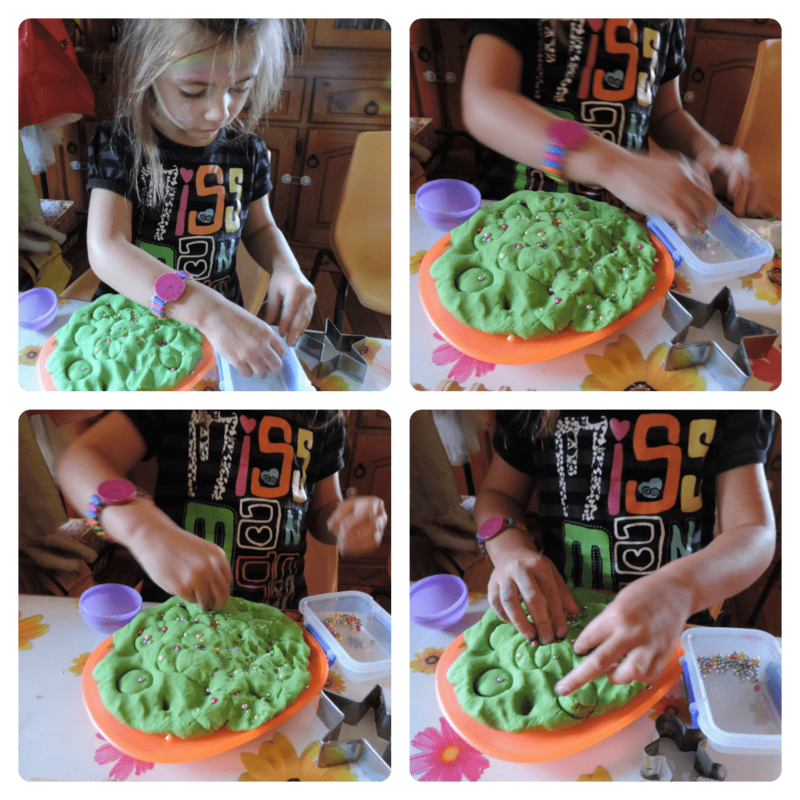 My girls love to make playdough and it is so easy to get them involved in the measuring, mixing, kneading and colouring process. 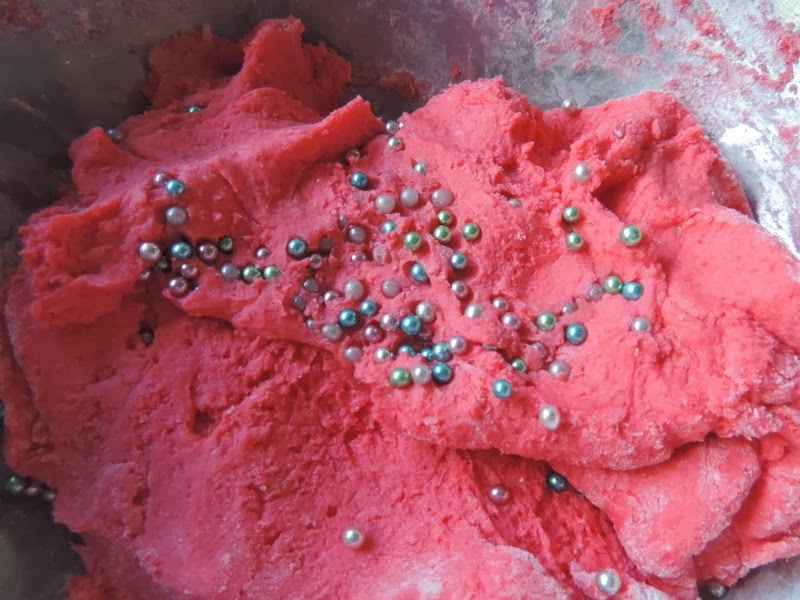 As this was to be our special Christmas themed playdough I pulled out the little balls and we talked about how they looked like the baubles we had put on the tree, only smaller in size. 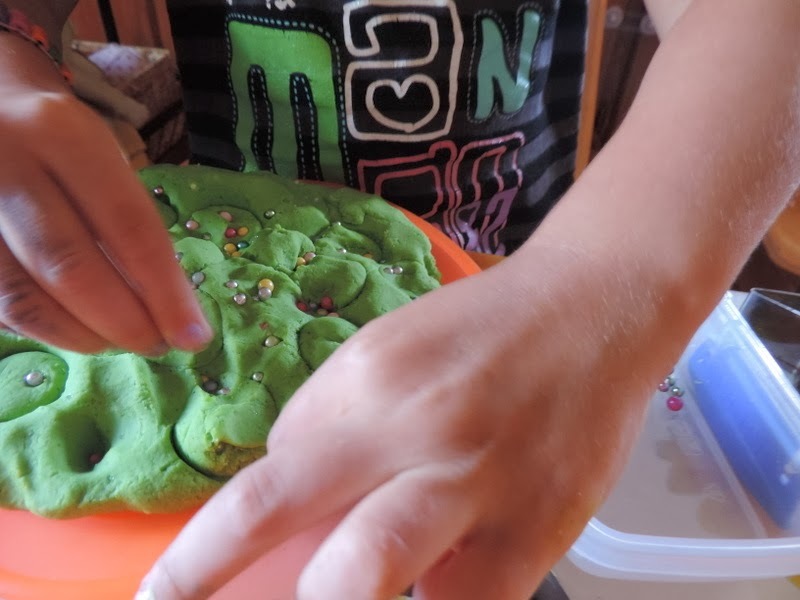 I asked the girls to make a hole in the dough and then poured some of the coloured balls in and asked them to push and roll them into the dough. 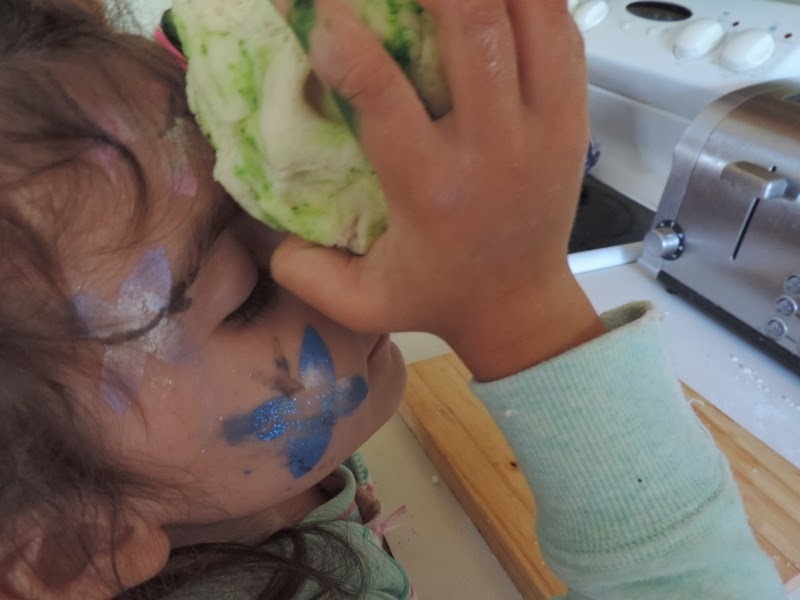 I then added a little food colouring and some peppermint oil to add to the sensory experience of the hard balls and soft dough. 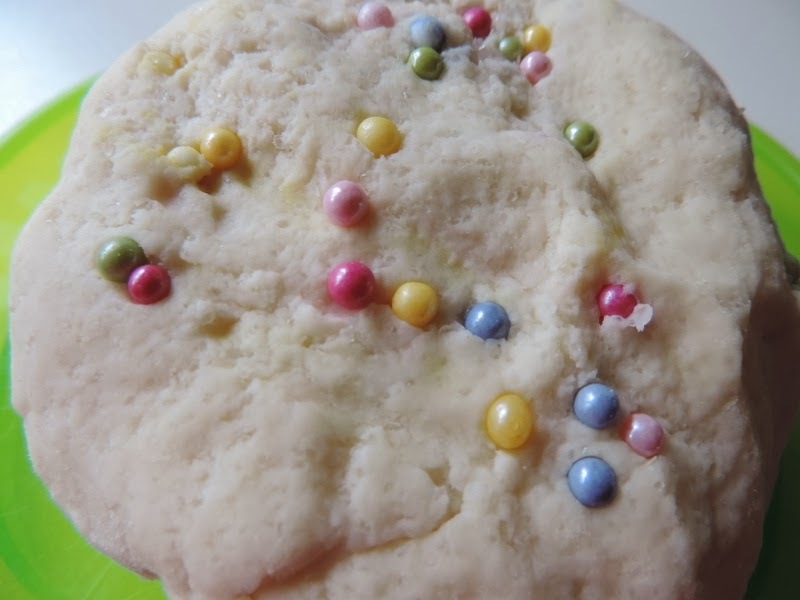 As you can see in the photo below my little sensory seeker Ruby really enjoyed the new sensation of ‘smelly dough’! 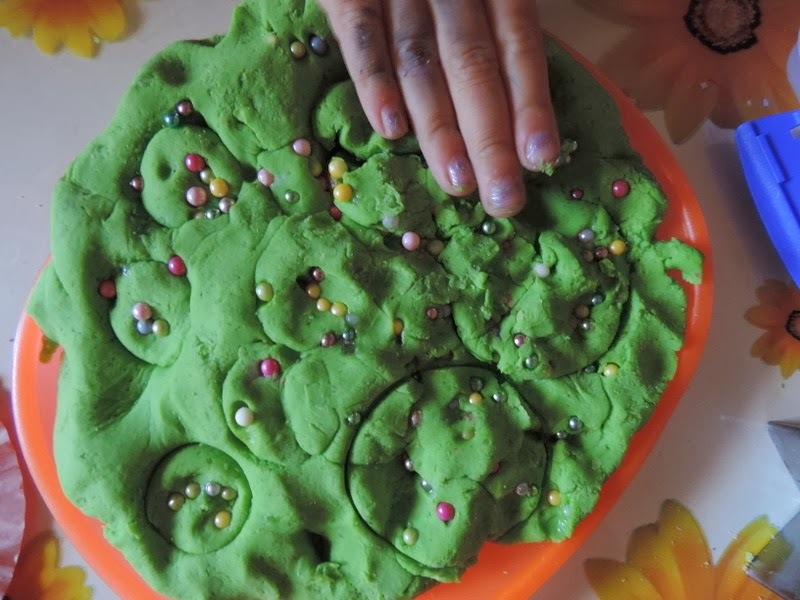 I like to make a double batch of playdough because I use it with the family daycare kids during the week. 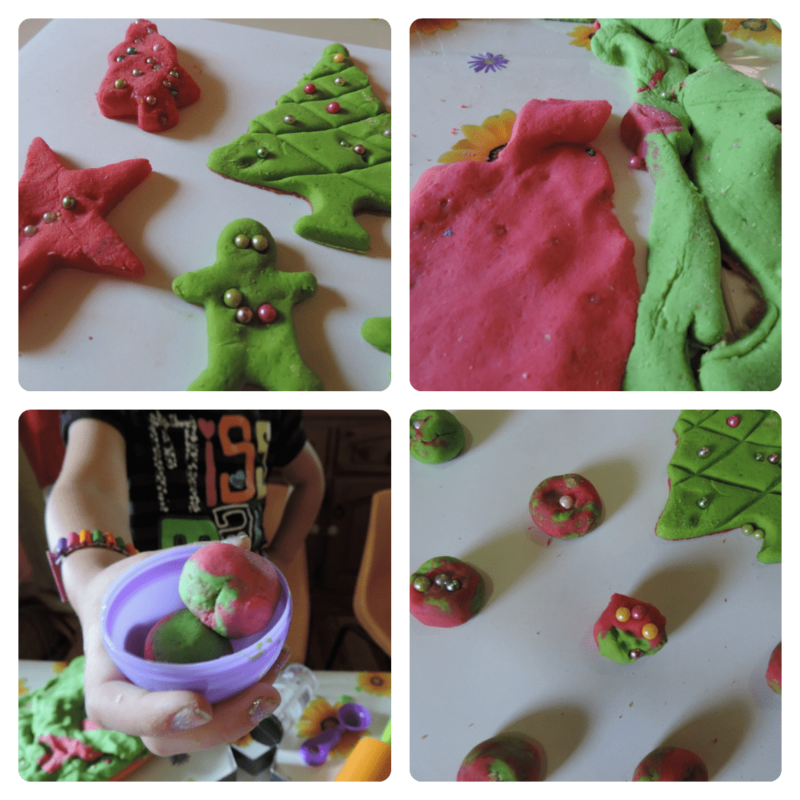 So when we had mixed all of the green colour and balls through the first batch we started making our red bauble playdough. Don’t you love those little balls? 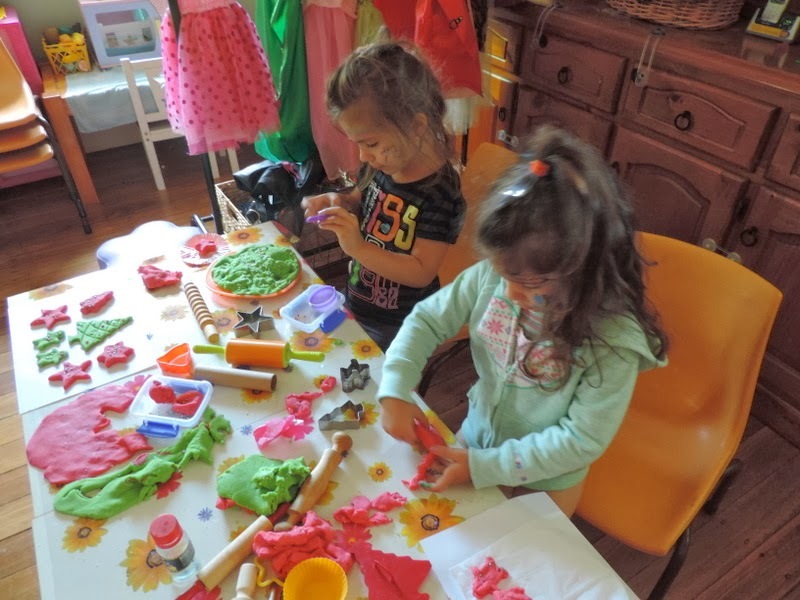 I thought they added quite the Christmas cheer and the girls had so much fun creating with them. 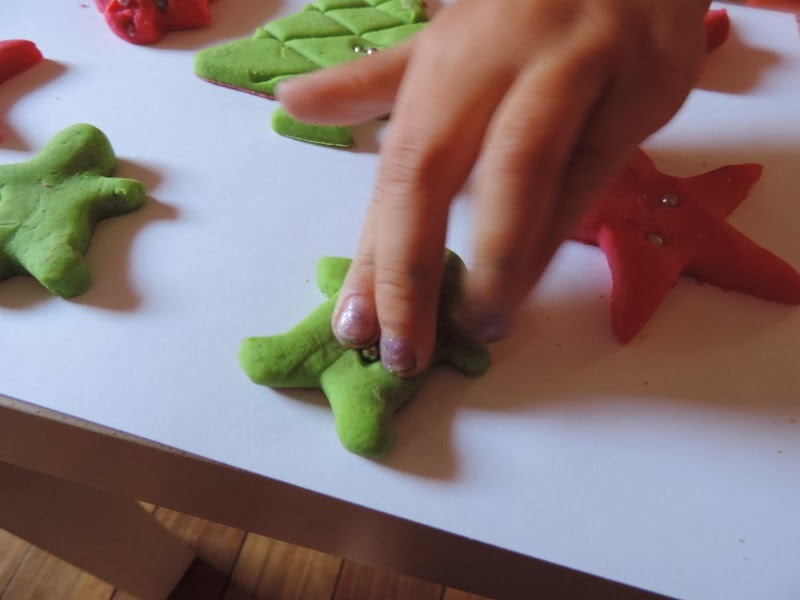 They are edible if little hands decide to pick them out! 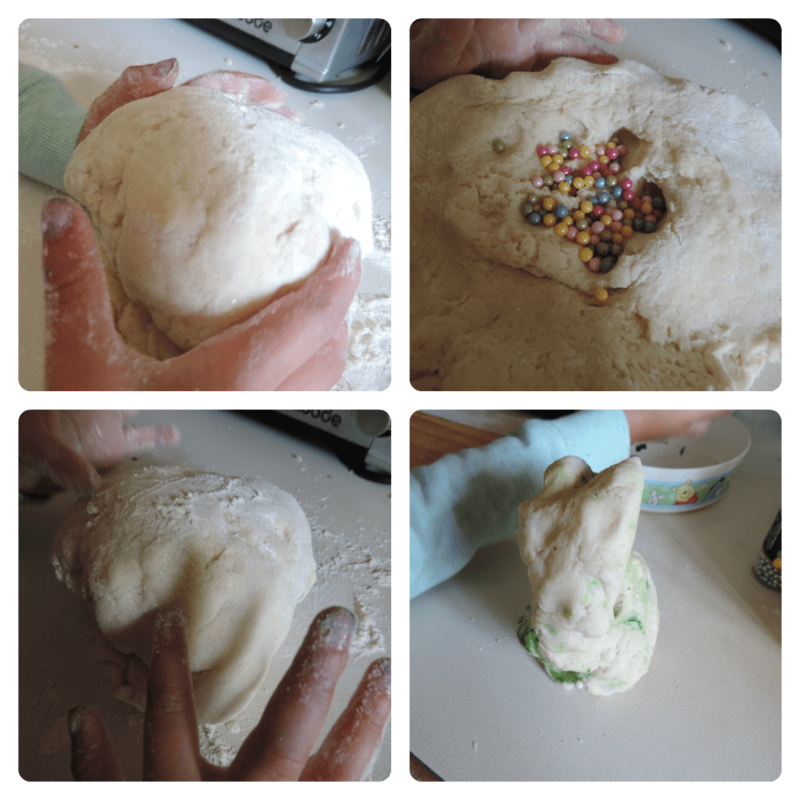 Obviously this dough is probably best suited to 3 year olds and up though if you aren’t going to be supervising closely. 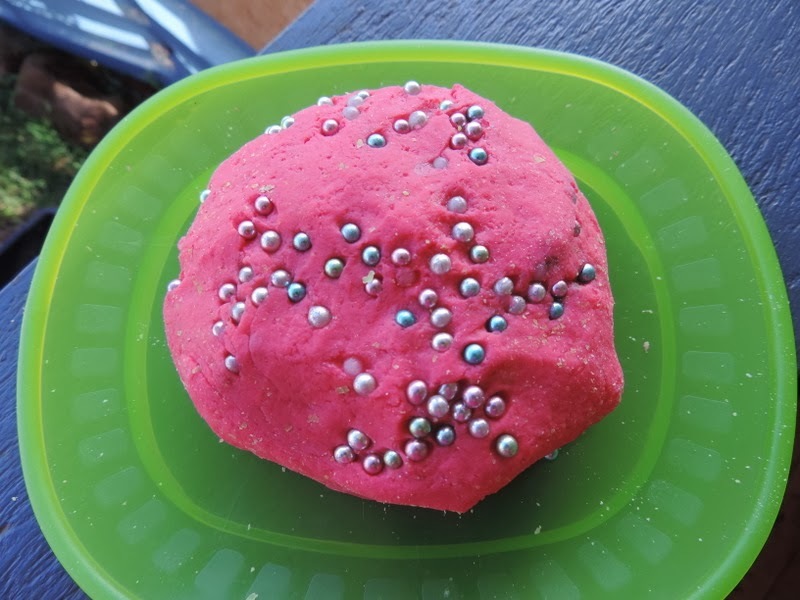 Not only did we mix them through the playdough, I also gave the playful preschoolers a little tub each of their own cachous to decorate with however they wanted. 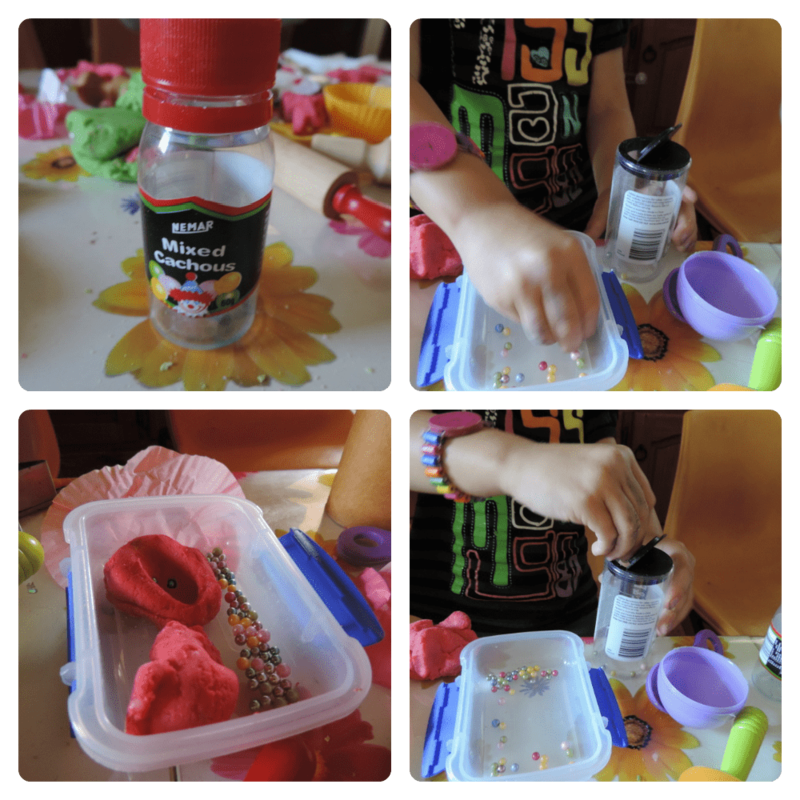 Fantastic for strengthening their pincer grip and fine motor skills…and when the bottles were emptied they provided the opportunity for a new game as the girls began to transfer the balls back into the bottles. 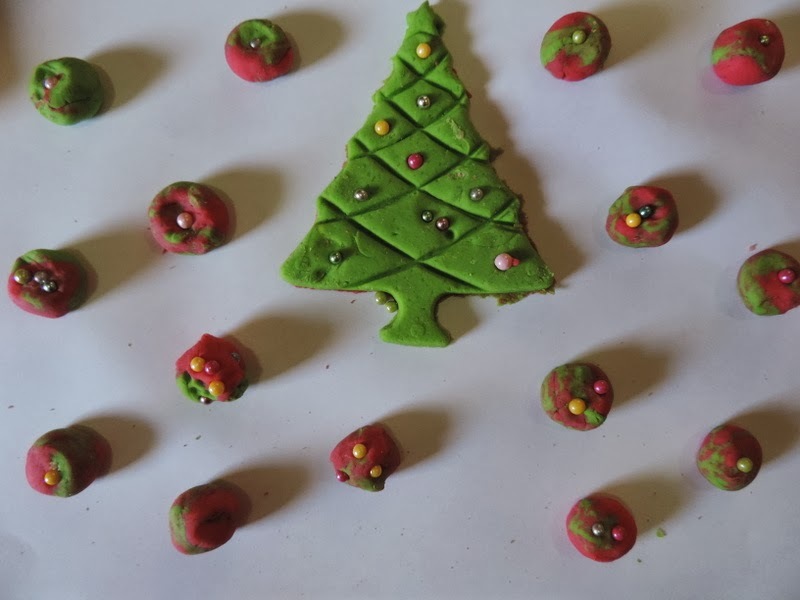 Tara told me she was making a Christmas tree and used a cardboard roll from the recycle tub to make some circle imprints to decorate which were the baubles…obviously! 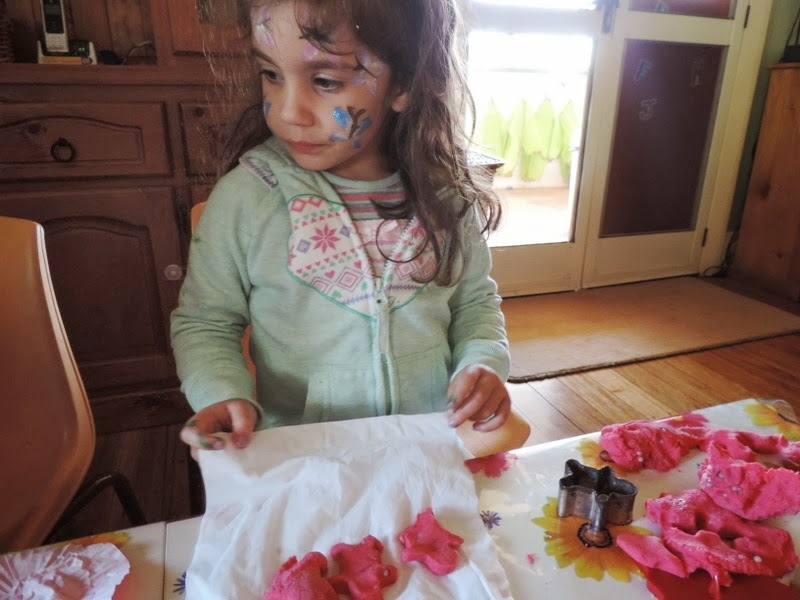 It was very important work and the concentration was intense as those little fingers got a workout while creativity and imagination took over…who is to say it doesn’t look like a Christmas tree? To Tara it did and that is all that counts! The finished tree complete with mini baubles…. 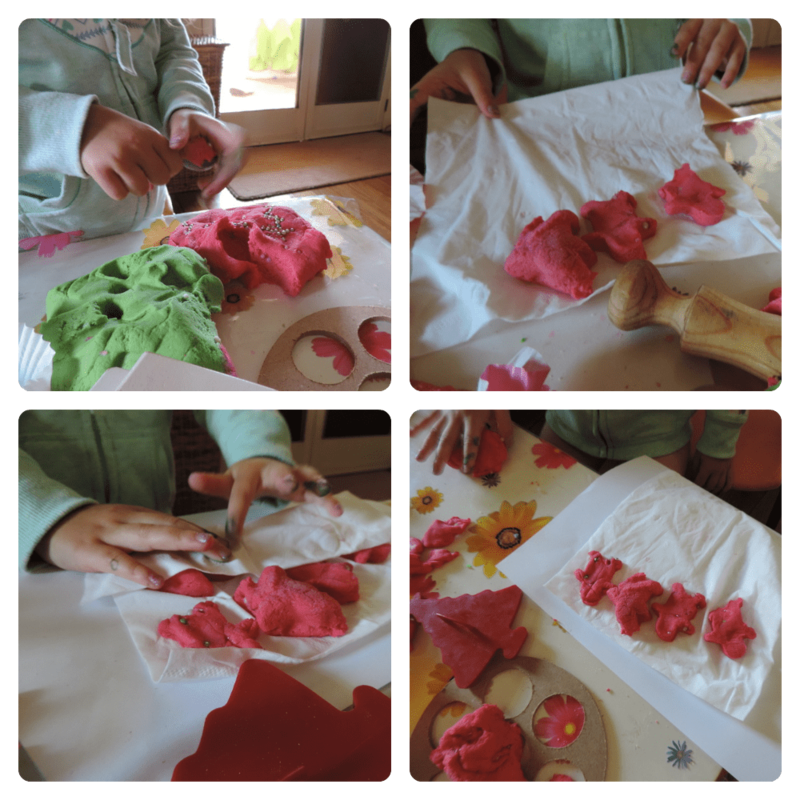 Ruby did lots of watching as her twin created beside her but she approached her playdough differently – preferring to use the Christmas cutters to make ornaments which needed to be decorated with balls and wrapped carefully in a tissue . 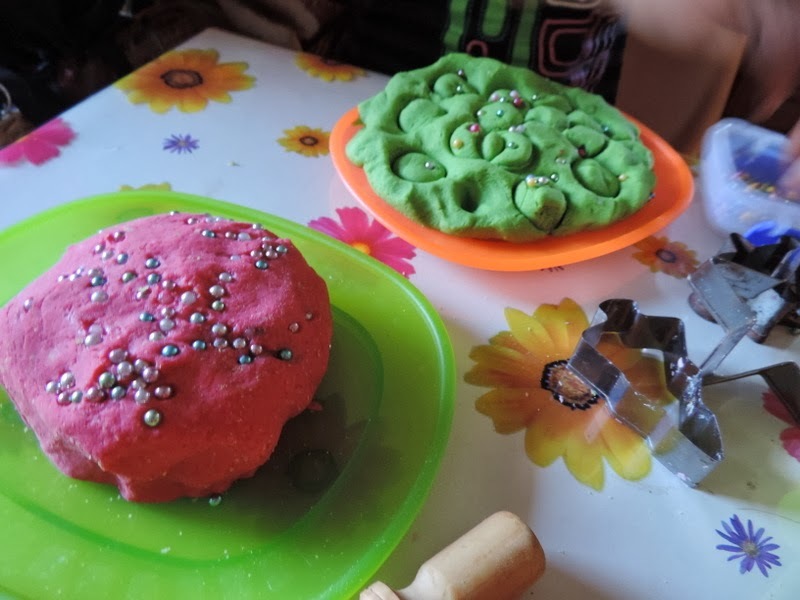 I really love the endless play opportunities that playdough creates, when one masterpiece is finished another begins its creation…. 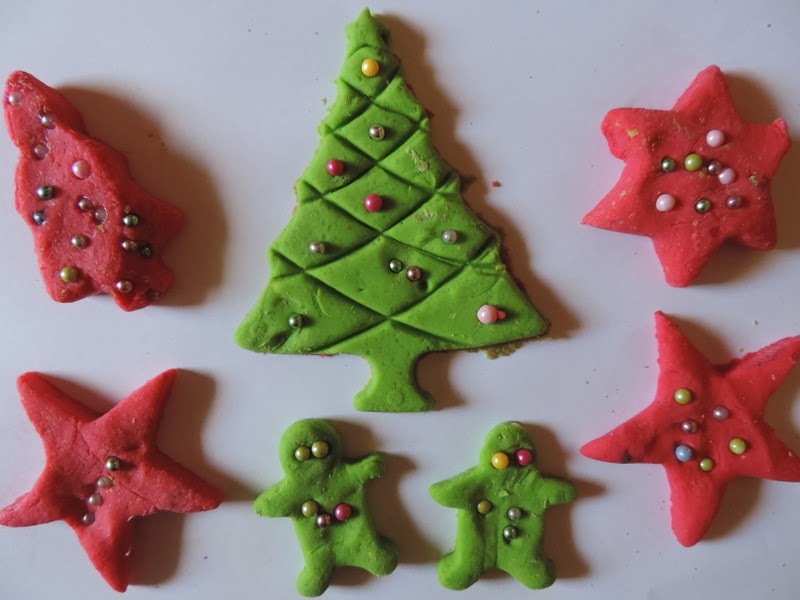 I showed the girls how to roll the dough out a little thinner so we could use the cookie cutters to make some shapes for decorating. I laid the shapes out on some paper as the girls passed them to me and then asked them to help me decorate with their shiny balls! They both enjoyed helping me decorate the trees and stars with their baubles. 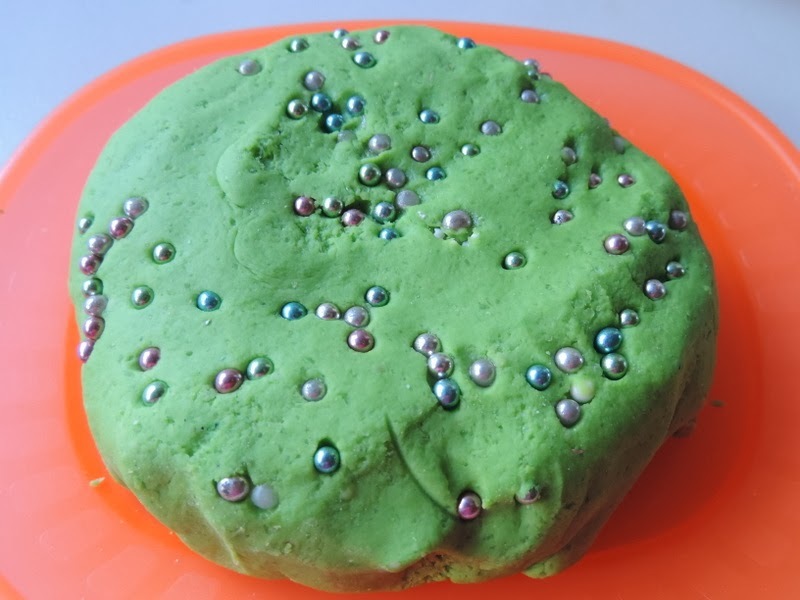 All because of a little coloured playdough and a few cachous found in the pantry. 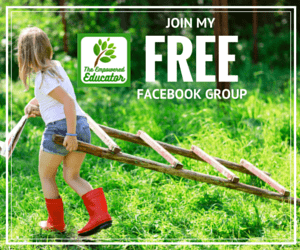 Pin image below to use this idea again later!